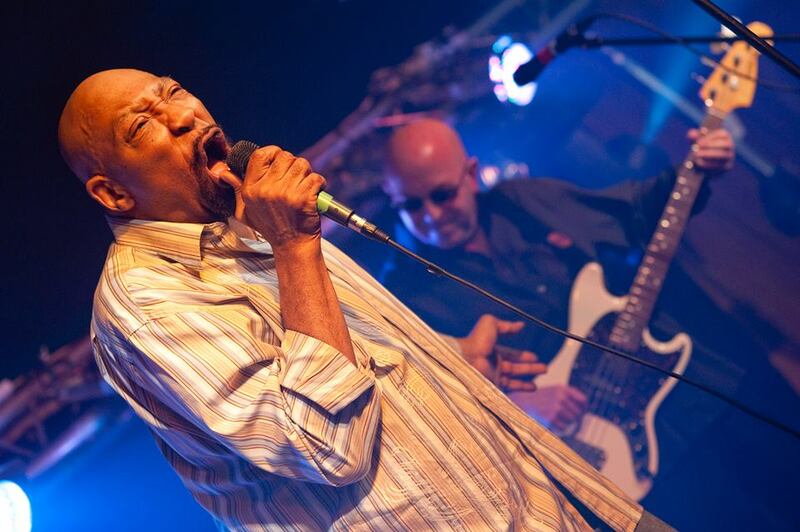 Geno Washington and The Ram Jam Band are an English based Soul band originally active from 1965 to 1969. Now going stronger than ever! Members: Geno Washington (Lead Vocals); Geoff Hemsley (Drums); Steve Bingham (Bass and Backing Vocals); Greg Lester (Guitar and Backing Vocals); Alan Whetton (Brass); and Nick Blake (Brass). Geno Washington and The YoYo's play a more Blues oriented set and are the band minus the Brass section. Geno Washington is an undisputed Master of Soul - he has released thirteen studio albums since 1966 and has performed alongside James Brown, The Rolling Stones, Bo Diddley and The Everly Brothers, to name but a few. He is back on tour with The Ram Jam Band aged 70, rocking crowds harder than ever. We had the pleasure of filming his live gig at The Blues Kitchen Shoreditch, and look forward to inviting him back! PQFMusic presents a Media Sampler of Geno Washington and The Ram Jam Band Live At The Half Moon Putney in support of the Pete Quaife Foundation. The full concert is now available for audio download at iTunes (see links to iTunes UK and iTunes US towards the bottom of the column to the right)! Geno Washington the 60's soul legend documentary trailer. Featuring Nick Mason, Ian Brown, Kevin Rowland and Ronnie Wood to name a few. Looking for channel outlets to broadcast. Geno Washington speaks after presenting Q Icon to Dexys at the 2012 Q Awards. Geno Washington and The YoYo's live studio session putting words to Booker T. & The MG's "Green Onions". Filmed by Paul Keenan and Jon Phillips at the London College of Contemporary Music, 04 May, 2014. Geno Washington and The YoYo's live studio session covering Robert Johnson's "I Believe I'll Dust My Broom". Filmed by Paul Keenan and Jon Phillips at the London College of Contemporary Music 04 May 2014. Geno Washington and The YoYo's live studio session covering Willie Dixon's "Little Red Rooster". Filmed by Paul Keenan and Jon Phillips at the London College of Contemporary Music 04 May 2014. Geno Washington and The YoYo's live studio session performing "My Jolene". Filmed by Paul Keenan and Jon Phillips at the London College of Contemporary Music 04 May 2014. Performance from the 1960's German television program "Beat-Club". "Foot Stompin' Soul - The Best Of Geno 1966-1972"
Copyright Geno Washington 2019. Picture Window theme. Theme images by hdoddema. Powered by Blogger.